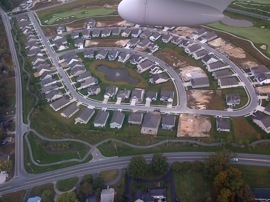 Plantation Lakes Millsboro Delaware sales outpaced expectations. The lure of the Delawares pristine beaches, tax free shopping and low real estate taxes accounts for the brisk lower Delaware real estate market. There are not many East Coast communities that offer a 3 bedroom town home on a golf course in a resort type community at such a price point.. The Plantation Lakes Kentwell model is a 3 bedroom, 2 full and 2 half baths town home priced in the $160k range. They all come with a two car garage and a large recreation room that’s 21×12 ft. The sleeping quarters are all on the third floor with the kitchen and Great room on the second. The initial town homes were just started in late summer of 2011 and have sold very quickly. The lower priced 2 bedroom Bellhaven model has taken a back seat. The fact that the price of the Bellhaven is approx $40,000 less than the Kentwell means buyers are paying that extra to get the larger units. The fact the community offers USDA financing makes it perfect for the first time home buyer. 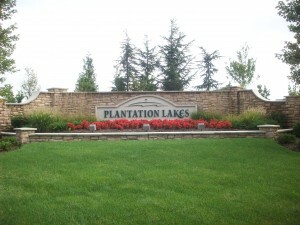 Request a free packet on Plantation Lakes community by filling out here. PACKET REQUEST This unit is currently for sale for immediate delivery. 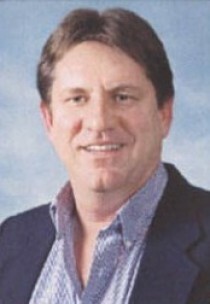 It is the first resale of a town home in the community. Plantation Lakes Millsboro Delaware is one of the most affordable resort type community in the Delaware beach area. This is a great opportunity for the investor, second home buyer, and or first time home buyer to own a fabulous Delaware town home. The community will be opening the pool this summer and a portion of the golf course is completed and residents have enjoyed Its use as it is not yet open to the public.